Sensirion: CMOSens® Technology for IR detection enables highly accurate carbon dioxide measurement at a competitive price. Along with the NDIR measurement technology for CO2 detection, a best-in-class Sensirion humidity and temperature sensor is also integrated on the same sensor module. Ambient humidity and temperature can be output by Sensirion’s algorithm expertise through modeling and compensation of external heat sources without the requirement for any additional components. Thanks to the dual-channel principle for the measurement of carbon dioxide concentration, the sensor compensates for long-term drifts automatically by design. Visit Sensirion’s website to order the SCD30 or to learn more about its specifications and features: www.sensirion.com/scd30. 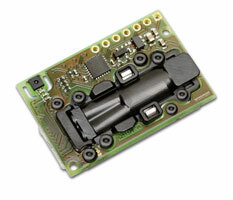 To learn more about Sensirion’s SEK-Environmental Sensing evaluation kit, please visit www.sensirion.com/sek.